Back in Upper Deck’s early days, when the company was just trying to get liftoff, officials sometimes farmed out design projects to outside artists. 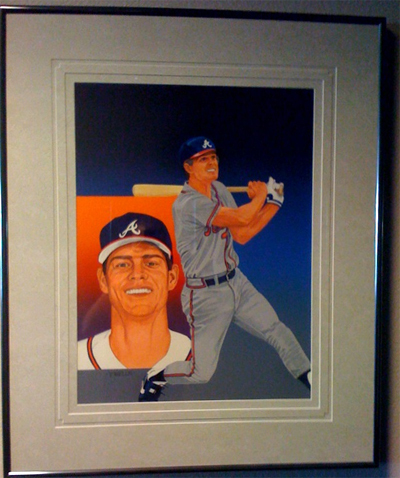 One of those projects consisted of illustrated team checklists cards that were routinely dropped into baseball sets in the early ‘90s to showcase rosters of the team in question on one side with a star player featured on the other. 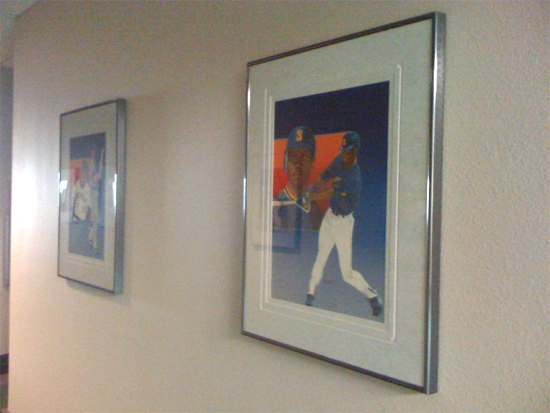 Having purchased the originals from Vernon Sr., and feeling proud of the company’s early days, company officials quickly matted, framed and secured each of the originals to UD’s Carlsbad (CA) headquarters’ upstairs hallway walls as a beautiful reminder to employees as they make their way to their desks each day. The paintings are large and undeniably dead-on accurate with the way they show each player in full-on action mode combined with a nice portrait inset. 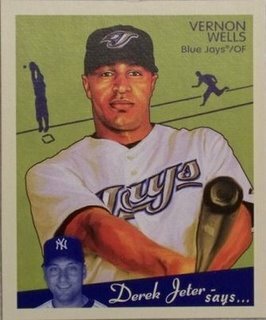 And thanks to his Dad’s connection, Vernon Jr. – well before his professional playing days commenced; he wasn’t drafted until 1997 – had access to a ready supply of free Upper Deck cards. 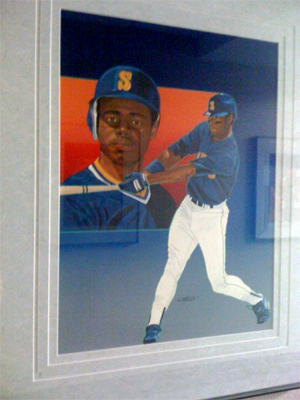 In fact, according to a recent article spun by ESPN.com columnist Jim Caple on the history and impact that Upper Deck’s 1989 Ken Griffey Jr. rookie card (# 1) has had on the hobby, Vernon Jr. unearthed upwards of 20 of the Griffey RC’s as a youngster, which he readily turned for profit. Like father, like son. Either way, they both are making money off the sport they love. Checklists Brings back memories of my die-hard card collecting days. 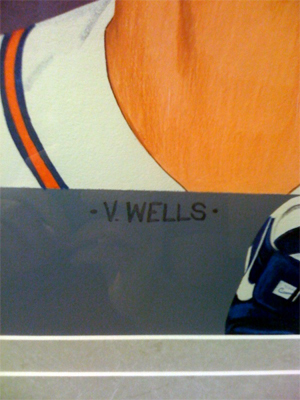 Had no idea it was Vernon Wells’ dad. Those were the days. You guys changed the way baseball cards were perceived that year. Keep your heads up.